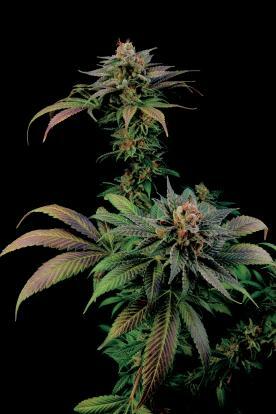 Critical Cheese is a feminised cannabis seed that, apart from one of the greatest marijuana strains list of all time, has been one of our collection's flagships since our foundation in 2005. At Dinafem Seeds, we came up with the bright idea of mixing two stars that shine with their own light in our catalogue: Critical + and Cheese. What derived from such high-end cross was an incredible hybrid with outstanding yielding properties, even better organoleptic qualities and the unbeatable genes of the Afghani and Skunk families. In short, a marvellous seed that all self-respecting collections must include. 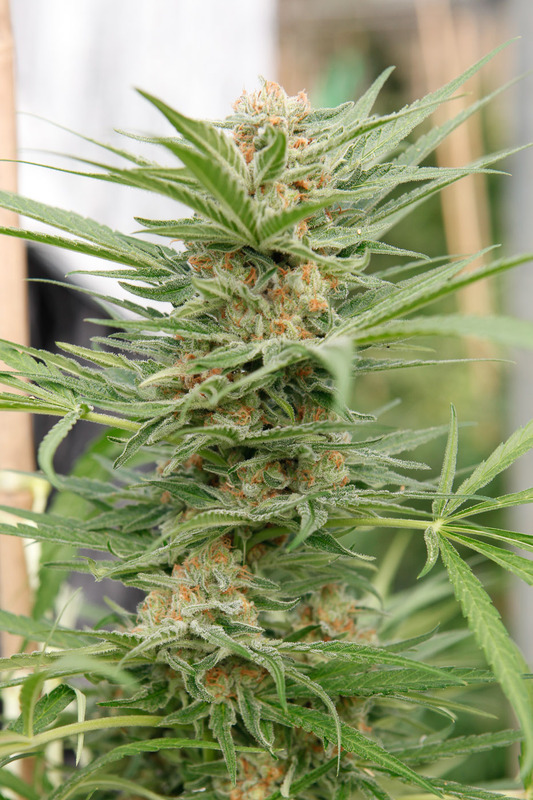 Critical Cheese cannabis plants look radiant: their bearing is strong, their structure open and branchy, perfect for ensuring the even circulation of air, and their leaves, both thin and elongated, are light-green and orange. On top of that, they present an incredibly vigorous growth, meaning they can reach heights of 2.5 m outdoors in some cases. And, at the end of the flowering, they end up completely covered in thick, heavy and rock-hard buds, moment in which your garden turns into a spectacle of colours and aromas. 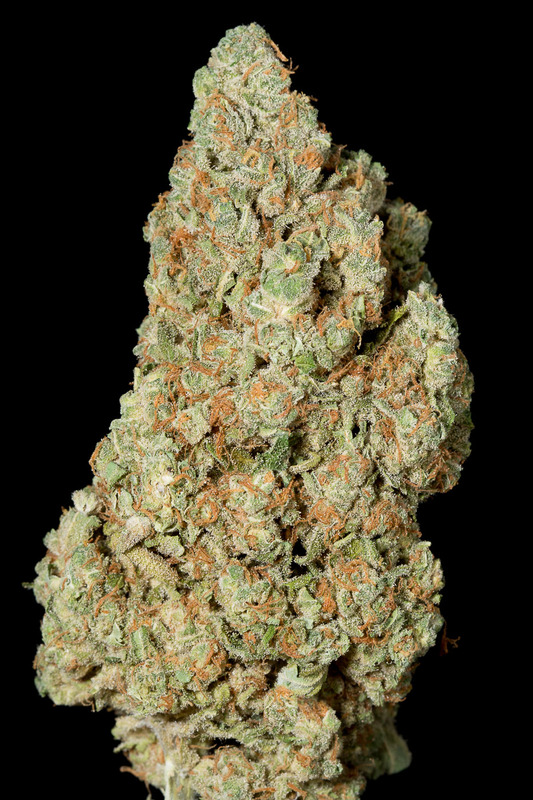 Critical Cheese delivers thick, heavy and sticky buds with which excellent hash can be made. In fact, this heavy-producer can provide up to 600 g/m2 indoors and some 700-1300 g/plant outdoors. We could say that, in this case, quantity and quality go hand-in-hand in deep harmony. Critical Cheese is noted for the incredible explosion of tastes and aromas produced when getting close to her or when tasting her. Her DNA comprises very special genes that put at everyone’s disposal an intense cocktail of cheese, lemon and pine, with very sweet touches. Critical Cheese delivers a clear and stimulating 'high' that gets you into an almost unbearable euphoric state, which is why unaccustomed users should act with caution. The effect takes long to disappear and ends up with a nicely relaxing sensation. Critical Cheese is a real delicacy accessible to all. Responding so well to all growing methods and being so vigorous, she’s very easy to grow. However, it is in SCROG and SOG that she shows her full potential indoors or in warm, temperate climates or in greenhouses outdoors. She’s not fond of humid climates and, despite knowing how to cope with them, you’d better watch her closely. While only 55-60 days are necessary for her to flower indoors, she’ll be ready for harvest at the end of September/beginning of October outdoors. In either case, you’ll get very generous crops. A word of caution, though: during the last weeks of the flowering, she gives off a very intense aroma that may require the use of anti-odour filters to be neutralised. Just WOW, pretty sure this strain is as near to cannabis perfection as you can get. Always loved Cheese, that flavour on the exhale is what cheese strains are all about... Critical Cheese takes that flavour to a new level, the lemon and pine from the Critical combine in such a complimentary way with the cheese. Too bad I have to use third parties to get these seeds here in South Africa. The Afrikaans statement rings true "n Boer maak 'n plan" (A farmer makes a plan). Definitely growing this next season. Keep doing what you guys are doing, can't argue with these results. Cheers! I enjoy this strain, I'm disabled with some major pain issues. This has been a great relief to a lot of issues. Thanks for your time and letting me express my opinion. great strain. great body and head buzz which lasted a good while. she was easy to grow with a good yield. the smell was different growing and after harvest, like floral perfume and fruit. if our looking for something different then its the way to go. the extracts smelled like a rose in a fruit bowl. well sealed as usual ,all seeds popped within 3 days . Dinafem really hooked me up, although i havent yet started the grow (i will post strain reviews once i do), the extremely personable staff sent me a great care package including 5 critical cheese seeds and 5 original amnesia seeds aswell as various other items. Dinafem has so many amazing reviews on their genetics, but id like to give their staff a huge thank you for being so friendly, polite, and quick to respond. Thank you dinafem and keep doing what youre doing. excellent plant!fast strong stinky gorgeous hardy sticky loveable roots in 8 days you can cut it at 7 weeks but wait till end of week 8 and go get plenty of mason jars as u will need them:)prepare for a strong stench:)dinafem description always fits!thanks guys! What do you think about Critical Cheese?